All web design projects have at least 3 stages: strategy, design, and implementation. Often, companies start the graphics portion of their web design before addressing their messaging and determining how their website will help them capture more leads, often leading to higher costs, frustration, and an ineffective website. One of the major web design pitfalls that we have seen, is the tendency of business owners and marketers to focus first on the look and feel of their website. said Eduardo Esparza, president of Market 8, this only leads to countless revisions, increased design costs, and ineffective websites that do not support sales growth. Last December of 2011, Market 8 launched a series of web design templates for the HubSpot CMS and a methodology that helps companies understand their messaging and their lead conversion triggers. Companies adopting HubSpot and immersing themselves in inbound marketing, need to be thinking about how to generate leads through their website. Our methodology for HubSpot web design forces companies to think about what they want to say and how leads will convert; we then help them execute their message and their lead capture process with custom graphics, custom calls to action buttons and a series of web page templates that they can reuse as they create their content, said Esparza. Market 8s HubSpot web design is facilitated by a proprietary, easy to use Google Docs-based Implementation Workbook that allows efficient collaboration between clients and the Market 8 team. Our process is designed to facilitate collaboration, Esparza said, sometimes we see up to 6 people working and discussing different aspects of messaging, content and conversion, simultaneously, in a single Google spreadsheet; this eliminates e-mailing information, version control, and allows for quicker implementations and a better end result, every single time. 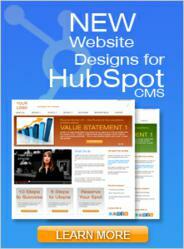 Market 8s hubspot web design templates have a starting price of $ 950 and are available in 4 different layout structures and implementation levels. Market 8 is an inbound marketing and branding agency that helps clients increase revenue and return on marketing investments by focusing on strategies that are fundamental, effective and measurable. A fully integrated agency, Market 8 specializes in marketing strategy, website development, interactive design, content creation, video marketing, and marketing analytics including specific prospect and lead tracking. This entry was posted in Which Open Source Blog and tagged Agency, AtlantaBased, Businesses, Design, Develops, DocsBased, Google, Help, HubSpot, Methodology, Process, Streamline, their on March 5, 2013 by Administrator. KMT Waterjet Systems just announced the launch of a Korean website version with the help of The Net Impact, a St. Louis web design, web marketing and web development company. The Net Impact developed and designed KMTs website using Auctori, a global content management system that supports search engine optimization. KMT provided the translations to make the site multilingual. KMT is growing globally. We distribute our water jet cutting products and solutions all over the world. As we continue to grow, it becomes increasingly important to have a global network of websites too, said (from Waterjet). The Net Impact and the Auctori content management system allow us to easily connect to our global community at a regional and national level through country-specific websites. The Net Impact team designed the KMT Korea website using a website template design. The template design assures that each of KMT Waterjets fifteen international and multilingual websites remain consistently branded while offering unique content that is relevant to respective cultures and global regions. With a large portfolio of features and options, the Auctori content management system allows customers to select from a variety of content modules. KMT Waterjet chose the content pages, reusable content module and navigation module to maintain consistent content throughout the website and allow for easy changes and updates. This entry was posted in Which Open Source Blog and tagged Announces, Launch, their, Waterjet, Website on March 2, 2013 by Administrator. 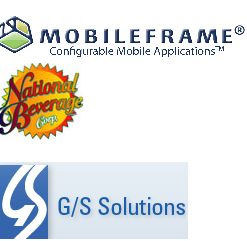 MobileFrame, LLC., the leading provider of Configurable Mobile Applications enterprise software, announces that National Beverage Corp., established in 1985, has selected the MobileFrame Platform for their next-generation Direct Store Delivery Application due to its extreme flexibility and ease of use. National Beverage Corp. is a holding company for various subsidiaries that develop, manufacture, market and distribute a complete portfolio of quality beverage products throughout the United States. They currently have 12 manufacturing facilities strategically located in major metropolitan markets across the continental U.S.
National Beverage Corp. knew that in order to remain competitive, the technology that they chose must facilitate sales growth, provide inventory controls, help reduce out-of-stocks, optimize the route sales and delivery rep’s efficiency and increase speed to market with new products. National Beverage engaged G/S Solutions, a premier MobileFrame partner, to assist them in optimizing their field workers and warehouse operations. G/S introduced the MobileFrame platform to National Beverage, knowing that it would be a perfect fit for their requirements. National Beverage was immediately impressed with the flexibility of the platform and knew it would be a perfect fit for their Direct Store Delivery operations. G/S is providing a comprehensive solution which includes the MobileFrame platform, application customization and rugged mobile devices. This entry was posted in Which Open Source Blog and tagged Beverage, Corp, Delivery, Direct, MobileFrames, National, Quenches, Store, Success, Suite, their, Thirst on February 27, 2013 by Administrator. DocStoc (http://www.DocStoc.com), the premier online resource for small business owners, has been hard at work developing 30 free iPhone and iPad apps (http://www.docstoc.com/apps/) aimed at helping small business owners and entrepreneurs flourish. The wide selection of apps was designed to answer the questions on every entrepreneurs mind, from how to raise capital, to online marketing, to writing business plans. Most of the documents, templates and premium content available in the apps were previously only accessible with a DocStoc subscription. Now, for the first time ever, they will be available for free within the apps in order to make running a business easier from the palm of your hand. DocStoc has also integrated a new bookshelf feature via iBooks, which allows users the freedom to surf between apps without having to return to the home screen1 app aggregates all content, documents and templates. This entry was posted in Which Open Source Blog and tagged Apps, Business, Businesses, DocStoc, Free, grow, Help, Launches, Owners, Small, their on February 24, 2013 by Administrator. Entrepreneurs who really do roll up their sleeves and get to work on something great for several years or more, owe it to themselves to have a final result for their efforts that is truly a masterpiece. This is according to Dave Lavinsky, co-founder and President of Growthink Inc., a leading entrepreneurial consulting firm whose extensive suite of products, services, and tools help entrepreneurs to accelerate the growth of their business. “If and when it does come time to sell your business, you want to be selling from a position of strength-to sell it when it is at its most valuable point and not when you’re burned out, in ill health, or in some other situation where you are rushed or won’t make nearly as much from the sale,” says Lavinsky. Lavinsky believes that businesses should have the end in mind, and encourages entrepreneurs to envision what their future “sellable” business will look like. “This will give you an ideal to work towards and guide your plans and work,” he said. Lavinsky suggests to make an organizational chart of how the business will look when it’s time to sell it. “List all the various workers in marketing, operations, and those they report to. It’s okay if it’s just you or a handful of people currently filling all those roles. Doing this will help you organize who is going to do what in your business before you hire a new person,” he says. Lavinsky warns businesses not to become overly dependent on any one customer, vendor, employee, or anything else. “Diversify your strengths. If you have any ‘whale’ customers that make up a large portion of your business, try to get at least 80% of your business from other people,” said Lavinsky. “This one’s self-evident, but deserves to be highlighted. A company with higher revenues and which shows growing revenues will be more valuable and attractive to buyers,” says Lavinsky. “You boost your net profit (and therefore the value) by reducing your expenses. However, no one ever shrank themselves into wealth. You’re not going to grow your business by keeping expenses lower-but the numbers will increase as it grows,” said Lavinsky. “Committing to do this now will make your life so much easier between now and the time you sell. Keep good records for your own efficiency, protection, and to make your business look a lot more attractive to buyers than one where all the records are filed away in the old owner’s head,” said Lavinsky. “I don’t want you to have plans on top of plans, but each of these will take certain actions to make them happen. So here’s what to do: Add these end results into your existing business plan, and use your best judgment when choosing how to make each of them happen in your company,” said Lavinsky. Lavinsky also reminds entrepreneurs that they have the time to implement the strategies up until the day for selling their business finally arrives. Growthink, Inc. is a leading provider of business plan services and is also a middle market investment bank. Growthink has also developed several training products and tools for entrepreneurs, including a small business plan template and sample private placement memorandum template. To learn more about Growthink’s products and services, call 800-506-5728. This entry was posted in Which Open Source Blog and tagged Business, Company's, Dave, Growthink's, Increase, Lavinsky, Owners, Reveals, their, value, Ways on February 18, 2013 by Administrator. PlanSwift the easy-to-use construction takeoff and estimating software program, announced today the release of their newest version of their software, version 9.3. 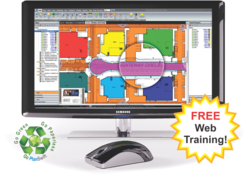 With a continued focus on the fulfillment of the construction industrys needs, PlanSwift once again has released software upgrades to enhance the capabilities of todays industry professionals. This entry was posted in Which Open Source Blog and tagged Newest, PlanSwift, Releases, their, Version on February 16, 2013 by Administrator. With the busiest wedding season underway, there’s always something new to talk about in the wedding world. While companies like TheKnot, WeddingWire, and many others offer free, template websites to their newly engaged couples wanting to announce it online, there’s a new trend popping up among those shiny diamond rings. Couples are buying personal domains to forward to their free website, and listing it on their invitations. FYNE Domains recognizes this as a great opportunity to develop a new cornerstone in their business. Offering personal domain names with easy, inexpensive forwarding to the couple’s wedding website. By doing this, couples can include the web address on their invitations for their guests to check out and find important information like hotels and locations of the ceremony and reception. It’s really a unique way to keep it short and sweet on the invitation by getting a personal, memorable domain name to include on your invitations, says Jennifer Powell, Project Manager at FYNE Domains and an upcoming bride herself. She adds, Then after the wedding is over, the couple can use it as a personal family album to update far away family members. I’d just be sure to password-protect it! 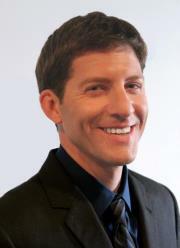 FYNE Domains is a small, local Milwaukee-based internet domain company that started in a teenager’s bedroom in 1998. It offers a refreshingly simple alternative to shopping for domains and human customer service support to all its customers. This entry was posted in Which Open Source Blog and tagged Buying, Couples, DOMAINS, Free, Personal, their, Trend, Websites, Wedding on February 14, 2013 by Administrator.